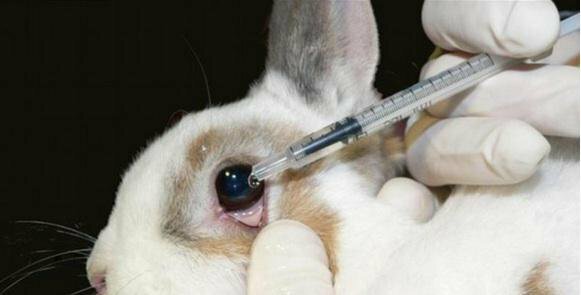 In the United States alone, humans test vaccines, beauty products, and more on over 100 million animals every year (www.peta.org). The 100 million animals can range anywhere from a rat to a dog. These animals are abused and then trapped in cages where they wait to be poisoned and eventually killed. 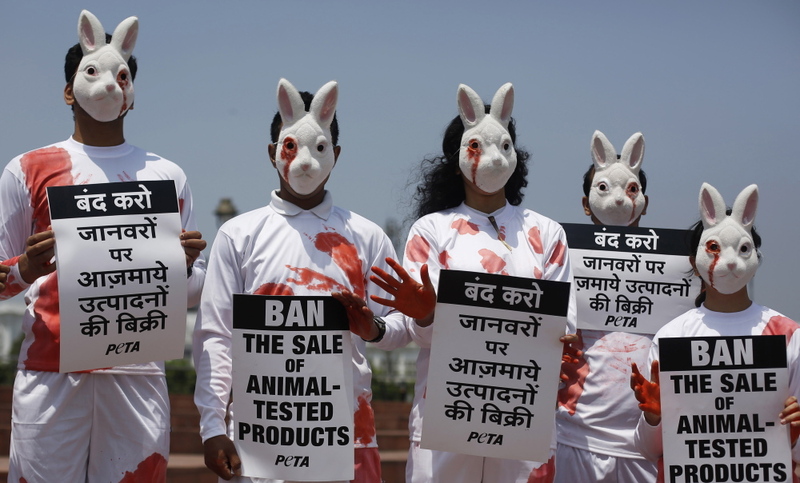 Groups such as People for the Ethical Treatment of Animals (PETA), Americans for Medical Advancement (AFMA), Animal Liberation Front (ALF) and many more are fighting for a ban on animal testing. A lot of money is needed to house 100 million animals in cages. According to Petfinder, "...the total cost of caring for a single dog could be over $9,000 per year." ("14 Pros and..."). If this is only the cost for a single animal, imagine the cost for hundreds of animals kept in one lab and then think of the millions in other labs. This is a very expensive project that must be funded through private sources and tax dollars. This doesn’t take into account the money going into the products and vaccines that are tested on the animals. There is a spectrum of humans that feel like they get to decide what they want to do with animals and that the animals have no rights. If the opposite spectrum of humans come together, it's possible we can change "...traditional thought, which holds that animals exist for humans to use as they see fit." ("An Ethical Argument..."). This belief is inhumane and every animal should have the right to a free and a wild life. What these labs don't explicitly disclose is that most of these products or drugs tested on the animals are never released to the public. Many animals are just being used to test new items that are in the production and testing stage but never pass that. Due to the fact that most of these products are just ideas, "That means animals will likely be sacrificing their lives to determine the safety of a product that a human will never even know was being developed." ("14 Pros and..."). These items don't benefit society and do no good for humans. The companies are just killing animals as they please. This suffering does nothing for either party and only puts the helpless animal through torture. We are now in 2018 where the technology is seemingly limitless. There are already new alternatives to animal testing such as using human tissue and cells, studies with human volunteers, new computer programs, and computer modeling techniques (www.peta.org). It's time to stand up and give a voice to these suffering animals. Although there was never a reason to put these animals through torture, new alternatives are slowly proving animal testing to be widely unacceptable. We are the last defense for these animals and must come together in order to stop their torture. No animal should have to suffer or be trapped in a cage while waiting to be killed. We are the voice behind their barks and screeches that are trapped behind the locked doors. Hunter P needs your help with “People for the Ethical Treatment of Animals (PETA): Stop Animal Testing”. Join Hunter and 5,629 supporters today.